Win! 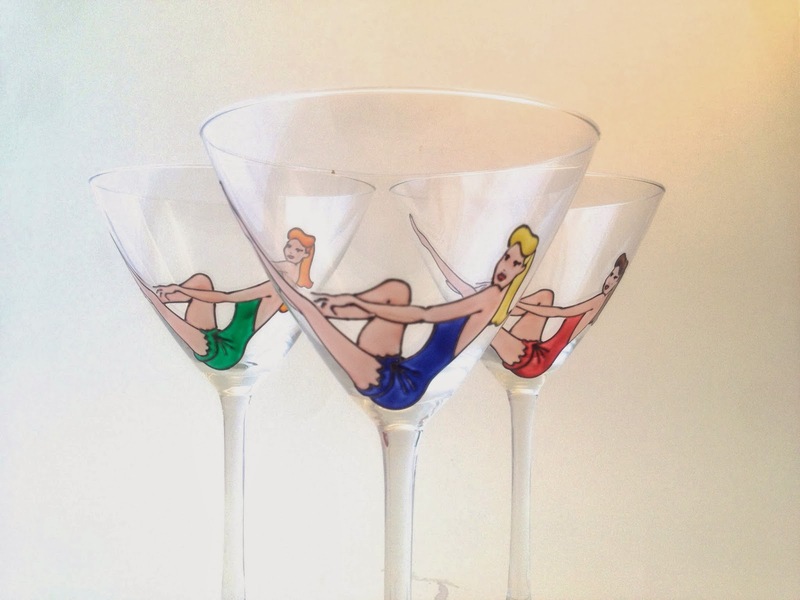 Vintage Pin Up Martini Glasses from Toasted Glass! Yesterday, you all went crazy for the first in our week of Christmas giveaways. Well shout a big hooray and get your party pants on: it's time for our second giveaway! We've talked about Toasted Glass since the early days: we discovered Monique and her wonderful creations on Etsy back in May, and we were blown away by her gorgeous glassware with its hand-painted designs - from Love Hearts shot glasses to beer mojitos, from peacock decanters to comic book tumblers and beyond. Our Christmas list is longer than the legs on the flamingo flutes thanks to these pretty glasses. Well, now we have another reason to toast Toasted Glass at Christmas: Monique is giving us a pair of martini glasses as our Tuesday prize for the Christmas giveaway week! Not only that, but these two delicious cocktail glasses are painted with our favourite design of them all: the vintage pin up girls! There are three designs above, and you get to choose which pair of ladies you'd like to adorn your favourite cocktails. And being in with a chance to win is easy peasy lemon squeezy: just take a look at the safe and secure Rafflecopter widget below! Use it to like us on Facebook, follow us on Twitter, tweet about this gorgeous giveaway or leave a comment on this blog post telling us what cocktail you're most looking forward to drinking from these pin up girl glasses. You have until midnight tonight to enter, and we'll announce the winner in tomorrow's giveaway post. Who won the personalised bottle of mulled wine yesterday? It was Clare Tomlin, so a huge congratuwelldone to you! There's an email on its way to you telling you how to claim your prize. The Small Print: This giveaway is only open to UK residents, and entrants must be aged 18 or over (sorry, but we will have to verify your age before sending your prize.) The giveaway closes at midnight tonight and late entries will not be accepted under any circumstances. Multiple entries (e.g. tweeting about the competition more than once) will be discounted and the entrant will be disqualified. These glasses were donated to Vinspire by the amazing Monique at Toasted Glass - unfortunately, none of the Vinspire team is eligible to win the prize. The winner will be announced in tomorrow's giveaway post and has 24 hours to come forward, or we'll give the prize to someone else (sorry!) If you have any questions, feel free to email us.